We know Winter generally hits the North the hardest, but it doesn’t matter if you operate in the north or the south, we all can be affected. Extremes of snow, ice and longer periods of darkness make driving in the Winter months more hazardous than in other times of the year. Regularly check local and national weather broadcasts for the areas you intend to travel through. Avoid driving completely, unless you absolutely must make the journey and driving is the only option. If you do decide to travel, let someone know where you are going and what time you hope to arrive. 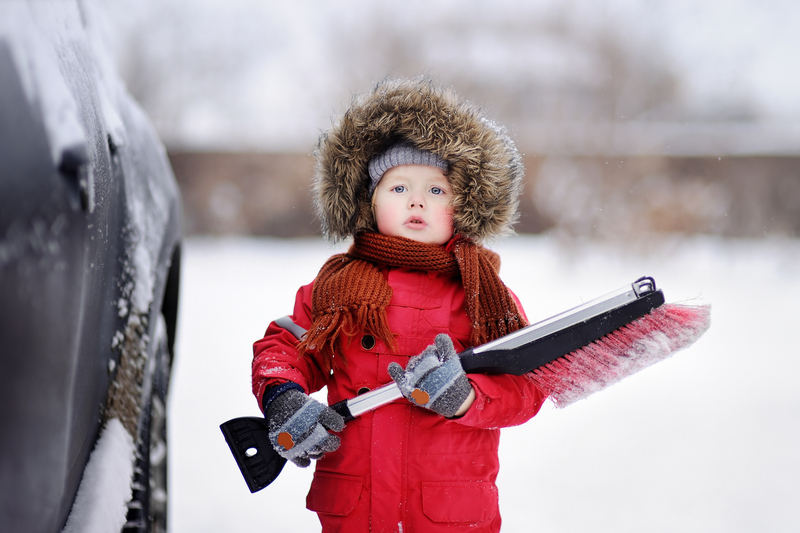 Ensure your vehicle is fit for winter conditions. Pay particular attention to the vehicle tyres (tread depth and pressure). Also ensure that the windscreen and windows are clean, wiper blades are in good condition and screen wash is topped up and complete with antifreeze. Also keep the fuel tank topped up as journeys may take significantly longer. Normal speed limits are generally too fast for snow and ice conditions. Excessive braking, acceleration, speed and steering will cause the car to slide, skid and spin. Don’t brake on bends, slowdown before the bend or corner by getting into a low gear early and allow the speed to reduce slowly. When braking, get into a low gear early and allow the speed to reduce slowly and use the brakes gently. Keep a greater distance from the vehicle in front (up to ten times greater than normal) to allow time for smoother braking and steering. A few extra items of kit in your car may help you escape the snow that is stopping you proceeding. Consider a shovel, snow socks / snow chains, tow rope, de-icing equipment and a torch. Have an emergency kit in your car to help in situations where you can’t proceed. Consider a first aid kit, warm clothes / sleeping bag / car blanket, hazard warning triangle, emergency rations and a flask with a hot drink. Remember to stay in the vehicle but turn the engine off to prevent a build-up of fumes and conserve fuel. Remember to keep your mobile phone fully charged to let people know where you are and to call breakdown services or the emergency services so that they can come and help you. As business owners, it’s worthwhile having the above conversation with your staff to help keep them safe as they travel to and from work. How often do you check the condition of your fleet?